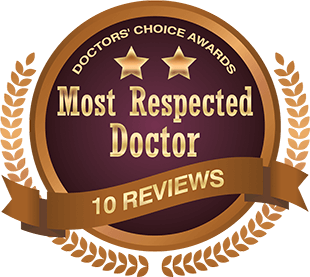 Services Offered: Surgical and Non-Surgical Liposculpture, Body Contouring, Skin Tightening and Cellulite Reduction, Cosmetic and Laser Dermatology, Skin Care Dr. Emer was a recipient of the Patients’ Choice Award (2010-2011) and Compassionate Doctor Recognition (2010-2011). He is a member of the American Board of Dermatology, American Society for Dermatologic Surgery, American Academy of Dermatology, American Society for Laser Medicine and Surgery and the American Academy of Cosmetic Surgery. Jason is an accomplished Dermatologist and leader in the field of Aesthetic Medicine. His approach to combination therapy is truly cutting-edge and something that I personally follow for ideas to implement in my own practice! Keep up the good work! Dr Jason Emer is a well known and respected dermatologist in the national and international cosmetic industry. He is energetic, passionate and innovative with procedures and best outcomes for his patients. Dr Emer is kind and caring for both patients and colleagues. I enjoy working with him and can’t help but love his contagious enthusiasm for medicine. Dr. Jason Emer is a very gifted and compassionate physician that I’ve had the pleasure of working with. 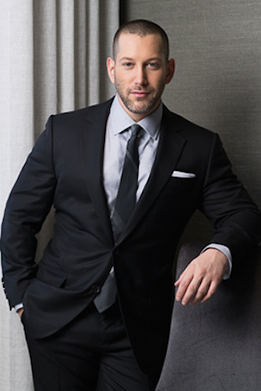 His surgical skills are top notch and he is a leader in his industry, especially when it comes to aesthetics and cosmetic procedures he is among the best of the best. Patient care is his highest priority and he’s extremely dedicated to his clients and achieving the most picture perfect results. He’s committed to excellence and research and has an amazing passion for innovating in his field. 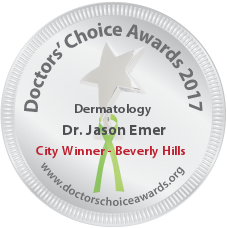 I have known Dr. Jason Emer for several years now and have found him to be one of the most compassionate and caring physicians we have in dermatology. He is innovative and supportive of his patients and his peers. He is always eager to learn and to use his skills for the benefit of his patients. He is most deserving of this award. I’ve had the pleasure of knowing Dr. Jason Emer for over 15 years and he has always demonstrated determination and dedication to his field. He is a kind, honest man and is an amazing physician who has always valued staying up-to-date on current medical literature. His love of the field is genuine and I would absolutely recommend him without reservation to anyone looking for a clinician. Dr. Jason Emer is not only brilliant clinically, but he is also one of the most caring and genuine doctors I have ever known. As a surgical dermatologist, his skill and precision are amazing. Above all, he is a true artist when it comes to sculpting the human body. Every procedure he performs, from the most extensive high definition liposculpting to noninvasive aesthetic procedures, is a masterpiece. And his care and concern for his patient’s safety and well being are as impressive as his outstanding clinical skills. I know Dr. Emer very well as both a person and a colleague and I support him unconditionally. Dr. Emer is a friend, a colleague, and a trusted second opinion for me. His work is amazing and speaks for itself. Dr. Jason Emer is on the forefront of dermatology care. His vision, knowledge, expertise and work ethic are second to none in our field. I consider him to be a role model to other physicians and I trust him with the care of my patients. Dr Emer is an innovative young leader in dermatology who is always exploring new and artistic uses of fillers and lasers. Dr. Emer is a leader in our field of aesthetics. His work is excellent and he is a wonderful educator and innovator. He really is one of the stars of our profession. As one of Jason’s mentors, I am pleased and proud at how he has developed as a physician and person. He is intellectually curious, procedurally skillful and incredibly hard working which make him a tremendous asset to both our specialty and his patients. I am thrilled to support his nomination. Dr Emer is an excellent dermatologist and close friend. He is compassionate and skilled. He is always learning new techniques to provide the best care for his patients. He is the best. I have known Dr. Emer for years and have watched him evolve into an excellent cosmetic dermatologist. He is always anxious to learn and loves to teach – another talent he has demonstrated brilliantly. Personally he is a great friend and has shown an unparalleled passion in his work. I’ve had the pleasure of knowing Dr. Emer since we attended college together. He amazed me then and continues to do so to this day. He is one of the most compassionate, intelligent, and gifted physicians I know. He immediately makes patients feel comfortable and sets up a dialogue so that expectations can be addressed. He strives for and has the skills to achieve great results, while still maintaining a natural look and tailoring treatments to each patient. Moreover, he is passionate about what he does. I recommend him to anyone who is moving to or currently resides in the Beverly Hills area. I had the pleasure of working with Dr Emer during his final year of residency at Mount Sinai Medical Center in New York. What I admire most about Jason is his dedication to his patients. He has accumulated and shared a wealth of knowledge and procedural technique over his many years of training in Manhattan. Dr Emer is a compassionate physician that carefully performs each procedure as if it were being done on his own family member. He performed laser treatments on my sister and me for rosacea. We are extremely pleased with the results. Dr. Emer is without question one of the best doctors I have ever dealt with in my medical career, which spans decades. He has a prodigious intellect, a warm and winning personality, and hands of gold. His surgical results are unbelievably good. I live in New York, but if I wanted further aesthetic work done on me or my family, I would fly to California to have Dr. Jason Emer do it. There are many excellent practitioners in New York, and many of them are my colleagues and friends. But Dr. Emer has proven himself time and time again to be the best of them all. He has the highest standards of excellence of anyone I know, and his surgical judgement is impeccable. Dr. Emer is truly a doctor’s doctor. Dr Emer is brilliant doctor. he is passionate about what he does, and is good at it. I would recommend him without any reservations. I have had the pleasure an honor to participate in Jason\’s training over the past 5 years and have watched him progress from one of the sharpest residents I have ever met to someone whom I predict will become a celebrity doctor. He is really good at what he does, he is a teacher and researcher and is very academic. I would send any of my family to him.